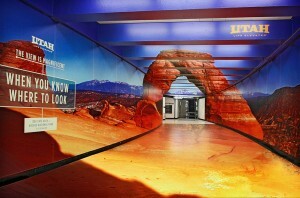 San Francisco’s Got Tunnel Vision! 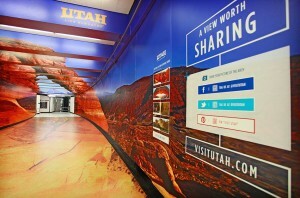 But Utah Started It! 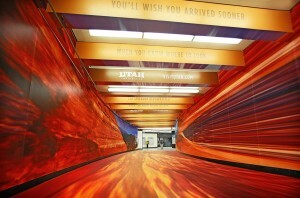 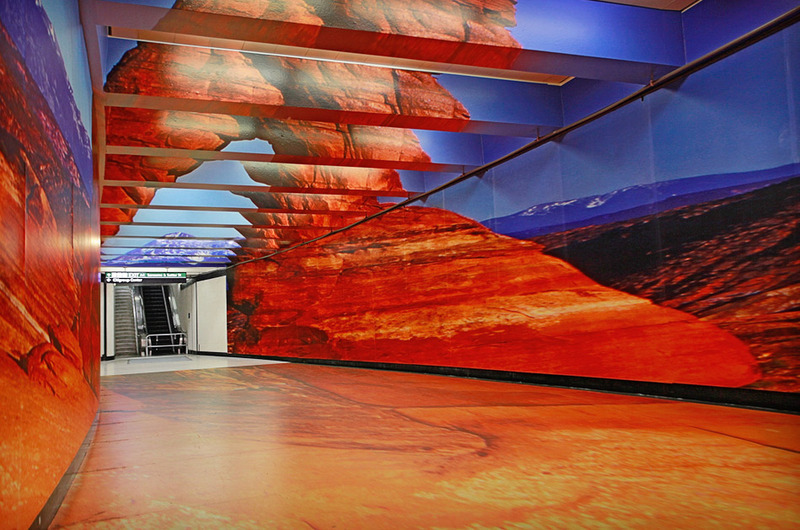 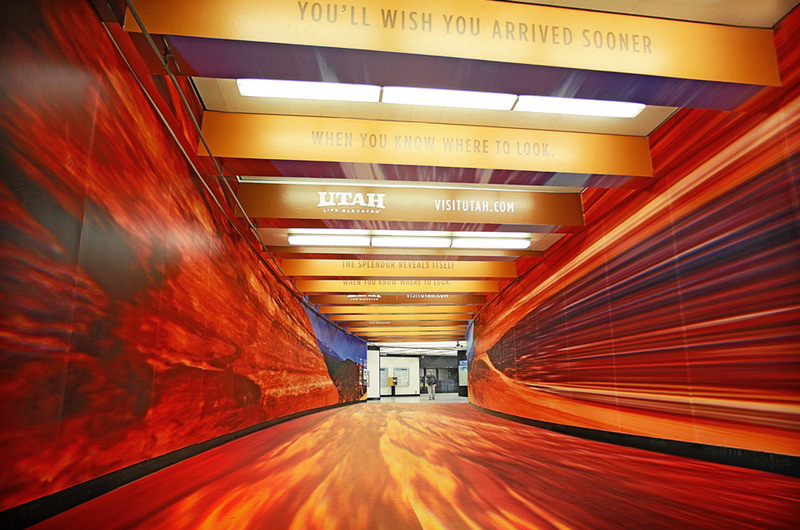 Displayed in a BART station under San Francisco is a 3-D total-immersion optical illusion tunnel wrap of Utah’s Delicate Arch. Watch as commuters experience the astonishing merging of a glorious Utah desert panorama: Delicate Arch http://vimeo.com/struckinc/montgomerytunnel, as they walk between the anamorphic murals on both walls and floor and under successive slices of the Delicate Arch. 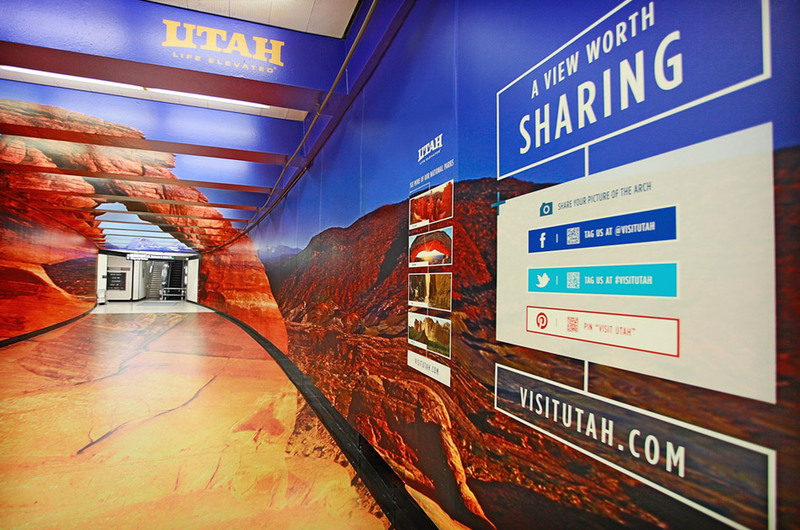 More smart marketing by Struck: At the best vantage point – where all surfaces re-assemble into the completed scene – there are images of Utah’s other parks and “QR” codes to click with your cell phone for additional information.